Regular maintenance and repair of your Jeep SUV's brake system are critically important for the safe operation of your Jeep model. 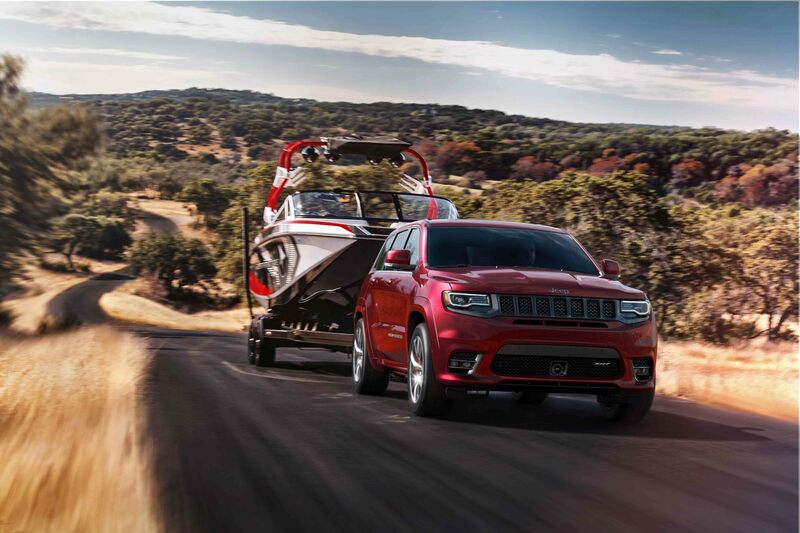 With something so important, be sure to bring your Jeep SUV in for brake service at your Fayetteville, North Carolina Jeep dealership, Hendrick Chrysler Jeep. Our team of Jeep mechanics is your local Jeep brake experts. We always start with a thorough inspection of your brakes, after which we can make recommendations for repair, including replacing the brake pads, resurfacing the rotors, replacing brake fluid, and adjusting other brake components to ensure the safe and reliable operation of your Jeep SUV. Give our team a call to schedule brake service on your Jeep SUV. You know you can count on exceptional quality brake inspection and repairs from Hendrick Chrysler Jeep because we are your certified Jeep dealership in Fayetteville, NC. That means our Jeep mechanics have access to state-of-the-art Jeep diagnostic tools and training, as well as genuine Mopar brake pads, brake drums, and brake discs. Not to mention the incredible amount of knowledge our team has built up in regards to specific models of Jeep SUVs after years of working on them. That knowledge often helps us spot potential problems with other parts of your Jeep vehicle while working on your brakes. Whether you come to Hendrick Chrysler Jeep in Fayetteville, NC for your next Jeep brake service or schedule another type of Jeep service with us, you will be blown away by our fantastic customer service. We offer a range of routine maintenance services, including oil changes, tire rotations, and 30K and 60K appointments. Engine troubles? We can take care of that too, diagnosing and repairing any Jeep engine issues at our auto shop. Schedule service on your Jeep vehicle today.